An eBill is an electronic form of a bill or statement. They typically look and include the same information as the paper versions received in the mail. Once a bill or statement is available to view electronically, an email notification is sent to the email address on file, announcing that the bill is ready to view. You still control when you want to pay the bill as well as the amount of the payment. Many eBills also offer an automatic payment option, which is convenient if you already plan for the payment coming out of your account or if you are planning to travel and won’t have a means of paying bills while traveling. After the eBill has been paid, it gets filed away allowing you to retrieve it at a future date, if needed. Log in to your Logix online banking account and access Web Bill Pay, by clicking on the “BillPay” tab on the orange bar above the account summary screen. 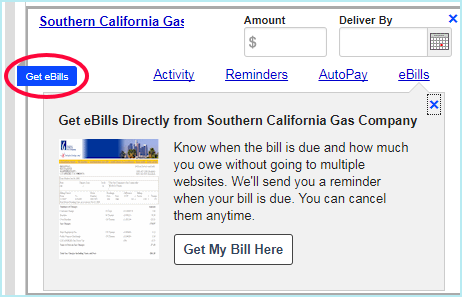 If you’d like to set up eBills for an existing bill in Web Bill Pay, click on the “Get eBills” marker to the left of the biller. If you’re setting up eBills for a new bill, add the new biller to Web Bill Pay by entering the information required from your current bill or statement. 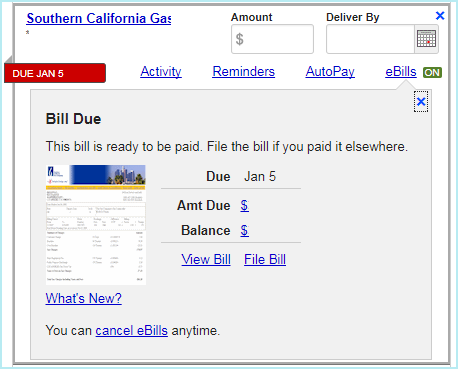 After setting up the new bill, look for the eBills option and activate, if available. Once the biller(s) make your next bill or statement available, you’ll receive an email notification that the eBill is ready to view. 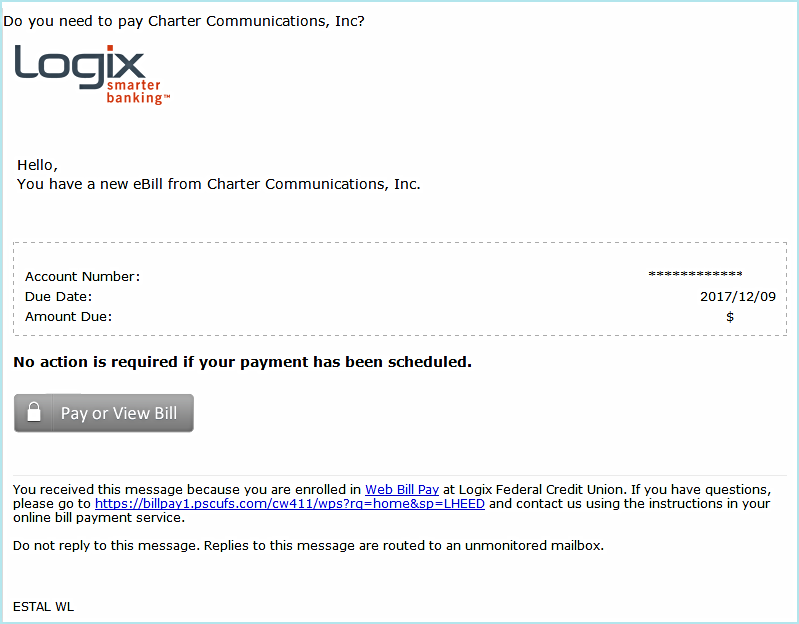 The email will display the biller name, the amount due, and the due date, and there will be a link that takes you to Logix online banking to view or pay the bill. If you do not have the eBill email in front of you, it is O.K.- you can simply log in to Logix online banking from our website and access Web Bill Pay in order to view or pay your eBills. When you’re ready to pay your biller, select the appropriate date from the calendar option in Web Bill Pay and either click on the amount presented on your eBill to pay that amount or enter a different amount to pay. After selecting the date and payment amount, click “Send Money” to schedule the payment. Billers will be paid electronically or by check via Web Bill Pay. Once paid, Web Bill Pay automatically files the bill, which can be accessed in the future by clicking the “Activity” tab at the top of the Web Bill Pay screen. It's important to note that having eBills doesn't necessarily mean that the bill needs to be paid using Web Bill Pay. If you pay your billers another way, for instance by check, credit card, or by automatic payment from your checking account, you can still choose to receive eBills. However, instead of paying your bills through Web Bill Pay, you would instead pay using whichever method you prefer. In order to mark the eBill as paid in Web Bill Pay, you would need to click on "File Bill" located under the appropriate biller. 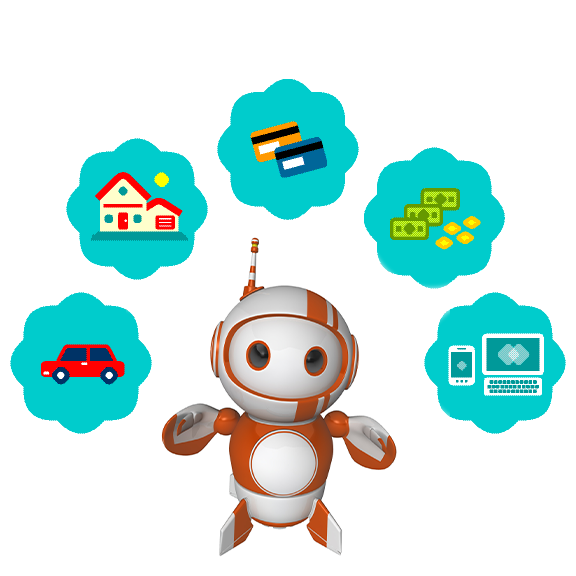 Electronic bills can be added and removed at any time. Depending on the biller, if an eBill is activated, paper bills may discontinue being sent by mail. Please reach out to your biller for more information or to update mailing preferences. Most eBills also offer an auto payment option. That option can be activated by clicking “AutoPay” under the “Amount” and “Deliver By” fields of the biller. Overall, eBills can bring some order to an already hectic life. You can easily set them up and then forget about them, saving your brain space for other important adult tasks.